n 1955 the Australian Labor Party (ALP) split. Commentators generally describe it as resulting from federal issues. But it began in Victoria, involved predominantly Victorians, and left its deepest mark in that state. A balanced conclusion with decades of hindsight is that: “The Labor Party Split of the 1950s was fundamentally a Victorian phenomenon” (Costar, Love and Strangio, 2005: 23). The dispute became public in February 1955 when Premier Cain and other Labor leaders in Victoria resigned from the ALP state executive in protest following its vote criticising ALP Federal Parliamentary Leader Bert Evatt. It then degenerated into a bitter argument between popularly elected Labor leaders and a Catholic dominated machine that later became the Democratic Labor Party (DLP). In March 1955 the DLP supporters in the Victorian parliament elected as their leader Hon. P.L. (Les) Coleman OBE, who was a member of the Legislative Council. During the previous two years he had organised the Queen’s visit to Victoria and played a key role in preparations for the 1956 Olympic Games. He was the subject of public speculation as Melbourne lord mayor and Victorian premier, successful in business, active in numerous charities and widely regarded as one of the best ministers in the state Labor government. Perhaps most significantly, virtually all his close political friends continued to support the ALP. But he surprised them and observers by throwing this away to follow a group with which he seemed to have little, apart from religion, in common. This is Les Coleman’s story. It began as a family history and narrowed to focus on Coleman, my grandfather. I remember him as a kindly old man, reserved and quiet. 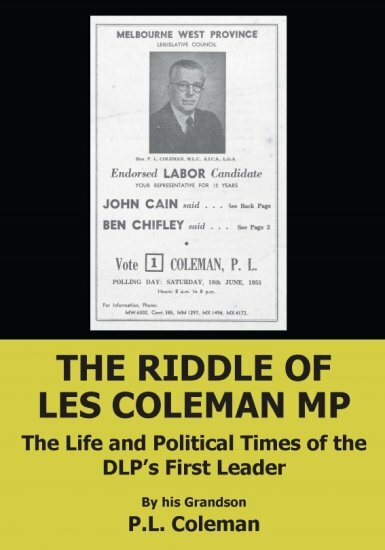 Like many I have pondered the reason why he chose to support the nascent Democratic Labor Party in what was neatly described by his friend Hector Crawford as “my riddle with Les Coleman”. That, in fact, encapsulates my research question: Why did Coleman follow the DLP group out of the ALP in 1955? The answer comes mostly in the words of those who knew him and participated in the events in question. My researches took me to almost 40 people who knew Coleman and worked with him in parliament and outside. Interviews with them were conducted during 1984–86, some ten years after Coleman’s death, and were specifically structured to seek opinions and judgements of his activities and of the political times in which he lived. Those interviewed included eight of Coleman’s relatives, four South Melbourne identities, two members of the 1945-1947 Cain cabinet, three members of the 1952-1955 Cain cabinet, four of the Victorian MPs expelled from the ALP with Coleman, secretaries of the two Victorian transport unions in 1954, two members of the 1956 Olympic Games Organising Committee and other key figures of the time. As a clear indication of how transient oral history is, all but a couple of those whom I interviewed are now deceased. 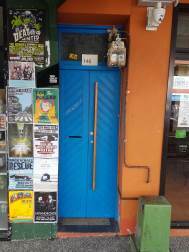 I must acknowledge the generosity and openness of those who agreed to meet me: only two refused and both courteously. Most of those interviewed asked that some of their comments not be attributed. This has been respected and the points they made were checked and appear anonymously in the text, with published references as support whenever possible. I found that some memories had inevitably faded; most reminiscences contained a measure of evaluation and explanation. cuttings, minutes and the like. But participants wrote down little of what happened; and few secondary documents can convey the motivation, personal dealings, alliances and rivalries that determine conduct. Thus the most authoritative text on the events of this period, The Split by Robert Murray (1970), is largely based on oral history and secondary sources such as newspapers. I also covered archives at several locations in Victoria, and in Brisbane, Sydney and Canberra; and drew heavily on newspapers and other secondary sources. Unfortunately Coleman left few personal papers. He was an only child and his wife and their only child died before this work started, so close family recollections were not available for much of his life. Even after considerable research, I was left with uncertainties. In part this was due to Coleman himself. He was not a gregarious or assertive man, and so – despite his influence and achievements – there are few mentions of him in published and unpublished books. 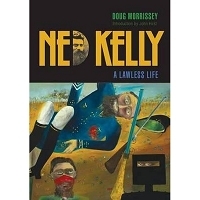 The exception is a diary by Roy Rawson MLC which gives insights into Coleman’s character and role in parliament. Moreover the primary sources relating to Coleman, his contemporaries and their activities are remarkably sparse as is shown by even a cursory look at bibliographies in books covering the political events of this era. The result is largely my interpretation of what others thought of Coleman and recalled of his political times. It is oriented towards his public life, and his political interests and activities. This has left room for only light treatment of his private business interests (of which the Port Phillip Hotel was perhaps the best known); the leading role he played in organising Melbourne’s Olympic Games; and charitable work which gained him life governorships of three prominent institutions. I have tried to be objective, but readers should be aware that even with the best of intentions this is not always possible when profiling a close relative. Conversely no biographer is ever objective because each is forced to choose their material from a plethora of information and conclusions. Moreover, this history – like all others – has gaps and limitations from lack of knowledge; and – without being able to test hypotheses – is descriptive. Whilst my analysis identifies compelling causal links, none can be established with certainty.